Here's a weird pick that might shift from "weird" to FOTM sooner than later. 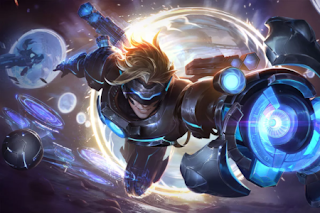 Ever since Patch 9.6 removed the ability to stack both Muramana and Seraph's Embrace on the same champion, Ezreal players are looking for a new item path to greatness. Turns out Luden's Echo works pretty well! Both items cost 3200 gold. Seraph's Embrace provided 20% CDR, 50 AP, and 1400 mana. Of course you can't forget about the ability power bonus of 3% maximum mana and the 25% mana refund, but that's somewhat difficult to quantify. Meanwhile Luden's provides 90 AP, 10% cooldown, and 600 mana and the damage active. All in all, this ends up being around the same amount of ability power for most of the game. 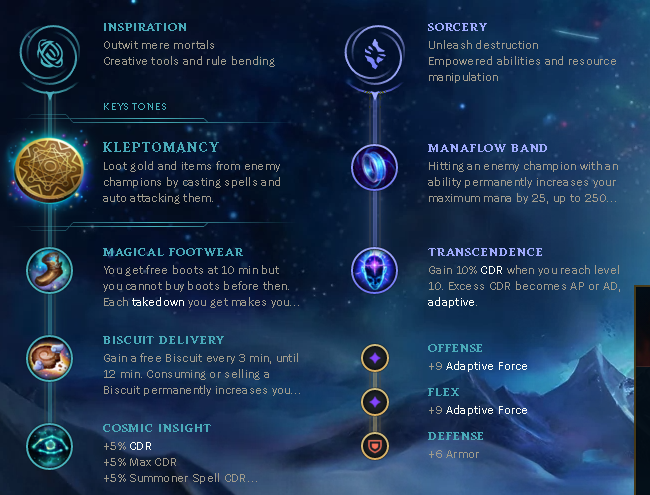 One of Ezreal's weakest points was always his waveclear, which is greatly buffed by Iceborn Gauntlet. Now, when you combine it with Luden's Echo you're essentially one-shotting the back wave and end up being almost as strong as most casters with shorter cooldown. Luden's Echo provides more burst damage than Serpah's Embrace, making an already bursty champion even burstier. With Gunblade as his fourth item, he ends up being able to 100 to 0 enemies without using his ult in a second. At lower divisions, many players completely forgot to use Seraph's passive before they died, resulting in a wasted active. Luden doesn't have that problem and ends up at full power at all times. One of the key things this new Luden's build misses out over the old Ezreal is the element of survivability. It's not quite as tanky as when he had a massive shield to fall back on, but most marksmen never had that to begin with. This build has lower late game mana-regen. Mid-game, this build is actually fairly strong if not stronger for sustain due to Lost Chapter's passive. However, later on you might notice a bit of a mana drain if you're shooting every spell off cooldown. Double tear Ezreal was fun and oppressive while it lasted. However, this new Luden's Echo build is just as strong if not stronger in terms of sheer offense. We traded off some survivability, but my guess is most players won't miss it. What do you think about this pick? Fancy trying it out? Comment below!